A miraculous flexible compound designed to stick to many different materials - forms a strong bond to aluminium, steel, ceramics and glass. 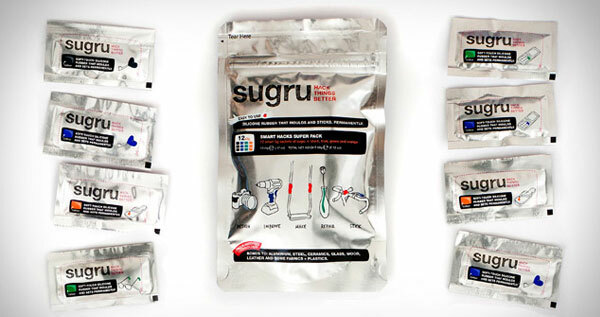 Sugru is easily moulded to any shape before it begins to firm up to a firm rubber like texture. It is completely waterproof (even in seawater) it shrugs off extreme temperature (-60°C to +180°C) and is also dishwasher proof. WOW!